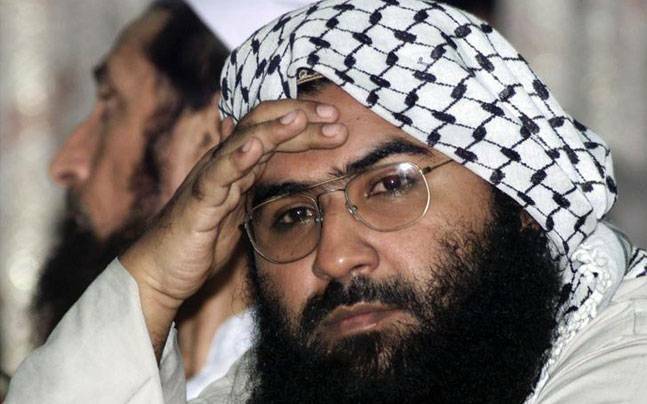 (TibetanReview.net, Apr03’16) – India’s move to impose UN sanctions on Masood Azhar, the head of the Pakistan-based, UN listed terror group Jaish-e-Mohammed (JeM) came a cropper after China intervened to save him once again. Just hours before the deadline on Mar 31, China requested the UN Security Council 1267 sanctions committee to keep on hold India’s request to impose a UN ban on the JeM chief. He was most recently the mastermind of the Jan 2 terror strike on the Indian air force base at Pathankot, located close to Pakistan’s border in Punjab state. However, the committee is still said to be considering a list of 10 other terrorists submitted by India before UN after the Pathankot attack. India’s Minister of State for Home Affairs, Mr Kiren Rijiju, has criticized the Chinese action. “What China has done (in the UN), was not good. Ministry of External Affairs will take an appropriate action. Whatever action is required, we will take,” economictimes.indiatimes.com Apr 1 quoted the minister as saying. Following the Pathankot airbase attack, India in February gave dossier to the UN calling for immediate action to list Azhar under the Al-Qaeda 1267 Sanctions Committee. The submission was reported to be armed with strong evidence of the outfit’s terror activities and its role in the Pathankot attack. Azhar was freed from an Indian jail in exchange for hostages from the terrorist hijack of IC 814. The UN had banned the JeM in 2001. After the 2008 Mumbai terror attack, India sought a UN ban on the JeM chief Masood Azhar. However, China blocked India’s move, arguing that it did not have the necessary information about Azhar’s involvement in terrorism. China also used the “failed to provide sufficient information” alibi to block UNSC sanctions against al-Akhtar Trust, a JeM front. Also in 2010, China placed on “technical hold” India’s request to name Azhar and Abdur Rehman Makki and Azam Cheema of Lashkar on the 1267 sanctions list of UN. While India has made its displeasure at China’s latest sabotage of its effort to impose a UN ban on Azhar clear, China has maintained that it had taken India into confidence before making its intervention. “The Chinese side has always been in communication with relevant parties on the listing issue,” the PTI new agency Apr 1 quoted Chinese Foreign Ministry spokesman Hong Lei as saying. “We always deal with the listing issue (banning militant groups and their leaders) under the UN Security Council committee established under resolution 1267 based on facts and relevant rules of procedures in an objective and just manner,” Hong was quoted as saying. Also, Last July, China similarly halted India’s move in the UN to take action against Pakistan for its release of Mumbai terror attack mastermind Zaki-ur-Rehman Lakhvi. At that time too, it claimed that its stand was “based on facts and in the spirit of objectiveness and fairness”. And Beijing also claimed that it had been in touch with New Delhi on the issue.